Do you find yourself juggling so many priorities that sometimes you have difficulty remembering everything you need to do and the items you want to follow up on? This webinar will explore Evernote, a free, cloud based note-taking platform that wants its users to "Remember Everything." As teachers, we are often asked to do just that. 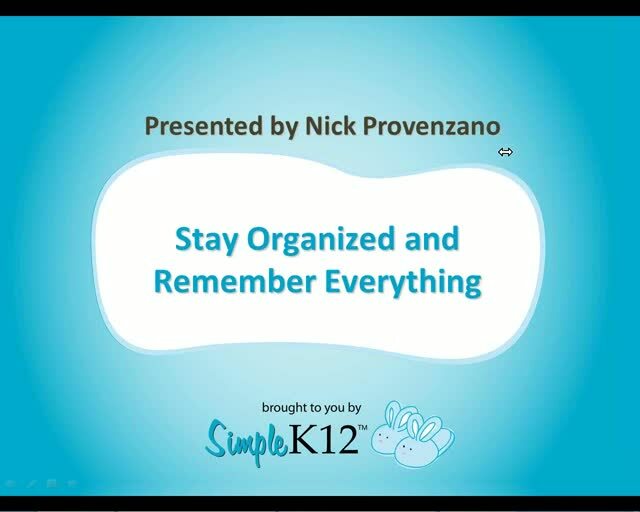 Join Nick Provenzano as he shows educators how to leverage Evernote to help them remember everything and share it with their students and staff. Evernote is a platform neutral tool, so Mac, PC, and many mobile device users can learn to use it to help keep their professional lives organized and on track. 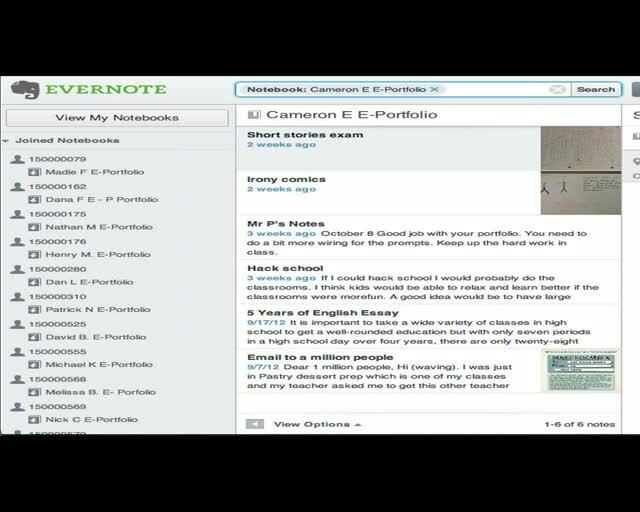 Thank you for Evernote as it is a mobile app designed for note taking, organizing, task lists, and archiving. interesting... what a great resource. As an Art teacher I love the utilization of this site for e-portfolios. 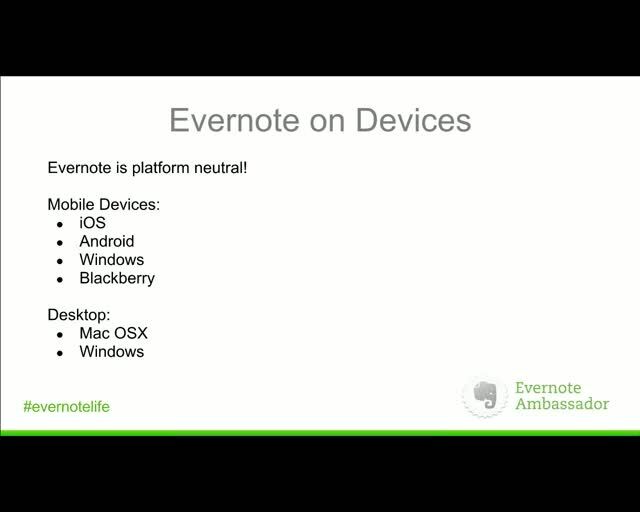 Looking forward to trying Evernote. Choppy sound but I was still able to get some good information along with the slides. great info... curious if 2 years later you are now using google suite soley? 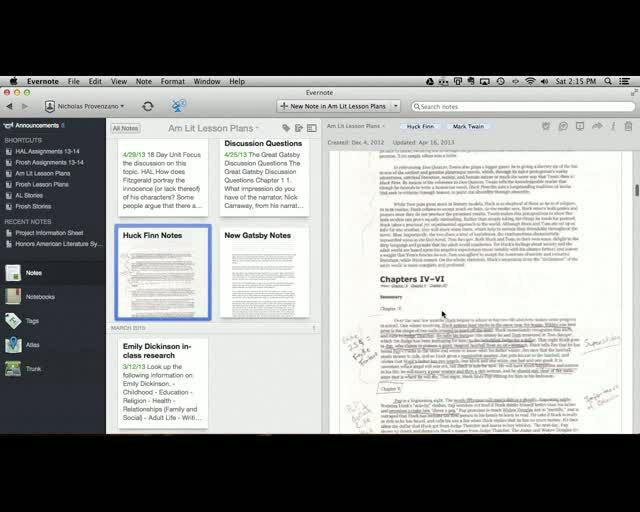 Excellent overview of Evernote. As a librarian, I was really glad that you discussed copyright.